F. Scott Fitzgerald was still writing The Great Gatsby when he saw artist Francis Cugat's original cover treatment. He apparently loved it so much he told his publisher not to show it to anyone else because he wrote it into the book. You know the one? The obscured face on a cobalt background overlooking a glittering city. Of course, since Gatsby was first published in 1922, the classic novel has had a number of different covers. And who has some of the best interpretations? The fans, of course. 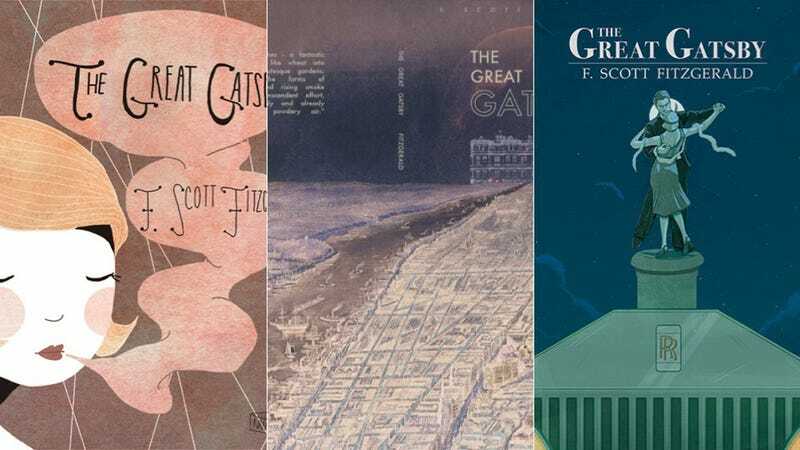 In light of the release of the Gatsby movie this weekend, here are a couple of selections from Flavorwire's roundup of the best reader-designed covers.